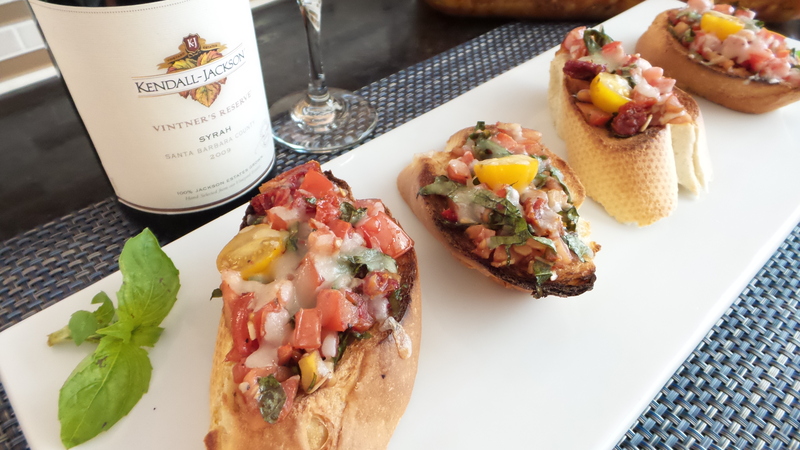 Today, I made bruschetta to go with the spicy italian sausage lasagna and tiramisu for our Italiano dinner. I like this recipe because the sun-dried tomatoes and balsamic vinegar give the appetizer a little punch. Since I have been into colorful dishes lately, I added some yellow cherry tomatoes to jazz up the look. A few cherry tomatoes can really liven up the dish. It looks good, smells good, and tastes good. Yup, the cherry tomatoes get to stay on this recipe. Preheat oven on medium broiler setting. Combine tomatoes, garlic, olive oil, vinegar, basil, salt and pepper in a large bowl. You can also do this step ahead and let the mixture chill in the refrigerator until ready to use. Diagonally slice the baguette into 3/4 inch slices. On a baking sheet, arrange the baguette slices in a single layer. Broil for 1 to 2 minutes until slightly brown. 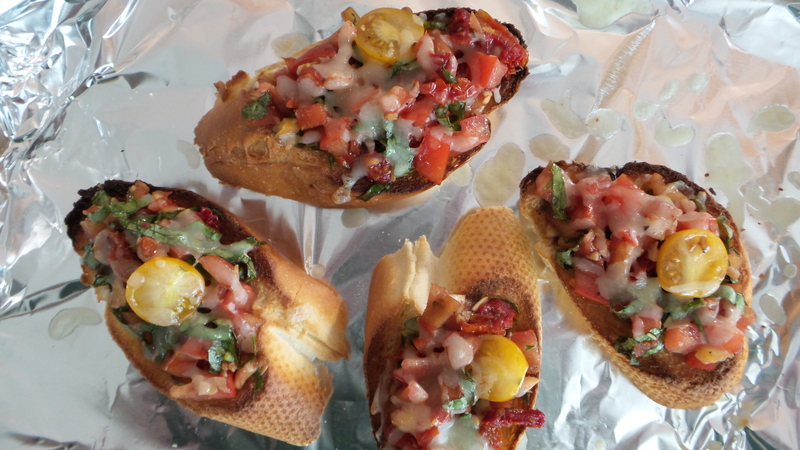 Divide the tomato mixture over the baguette slices. Top the slices with mozzarella cheese. Broil for 2 minutes, or until the cheese is melted.